The Obama administration official who ordered the edit of a 2013 briefing exchange between Fox News reporter James Rosen and a State Department spokeswoman specifically mentioned the "Fox network reporter" in their request, as revealed by the agency's internal investigation. "The technician did not recall a reason being given for the edit request," the report stated, "but did believe that the requester had mentioned in the course of the call a Fox network reporter and Iran." The report continued: "The technician indicated that the requester may also have provided the start and end times for an edit." 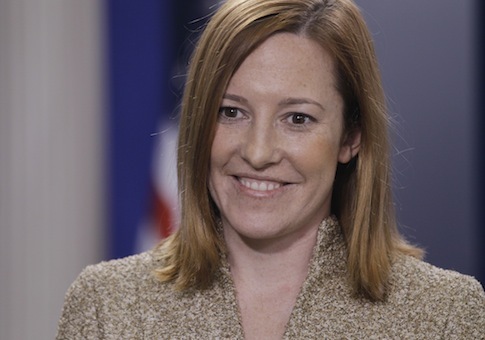 The implicit admission by then-spokeswoman Jen Psaki to Rosen that the State Department sometimes has to mislead the public to protect secret negotiations in December 2013 was excised from the official video of the briefing. Rosen had previously been told by spokeswoman Victoria Nuland earlier in 2013 that the U.S. was not engaged in bilateral talks with Iran over what would become the nuclear deal, when in fact such discussions had been going on for months. Current State Department spokesman John Kirby promised an investigation when the purposeful edit came to light in June. He revealed inconclusive findings last week, which included his claim that there was "no evidence" the exchange was excised to conceal information from the public. He also repeated an earlier possibility that the edit was done because of a "glitch," although Rosen pointed out the coincidence of that happening to that specific admission from the government. Kirby explained Thursday that a technician in the department’s Bureau of Public Affairs recalled receiving a telephone call from a female superior back in December 2013, ordering the editing of the video. The legal adviser’s report said that while the technician "did not believe" the call had come from Psaki, the technician was otherwise unable to remember the identity of the superior. Kirby added: "There’s no evidence to suggest [the deletion] was made with the intent to conceal information from the public and … there is no evidence to indicate who might have placed that call or why." What Kirby omitted was that the legal adviser’s report–shared with news organizations on condition they not publish it in full–did indeed contain evidence to indicate why the unidentified supervisor demanded the deletion, in a section of the report captioned "Evidence of Purposeful Editing." The disclosure that the superior official specifically cited a Fox News reporter and his questioning about Iran when demanding the edit, and "may" even have provided the start and end times that ensured the relevant exchange would be excised, suggest the editing was a more deliberate act of censorship than State Department investigators and Kirby have publicly acknowledged. This entry was posted in National Security and tagged Fox News, Iran, Iran Nuclear Deal, James Rosen, Jen Psaki, State Department, Victoria Nuland. Bookmark the permalink.